When you want to explore nature and indulge your inner child, there is simply nothing better than exploring off the coast of Maui. Stunning reefs, caves, and pass throughs all help make Maui the unique and fun filled area that it is. Bursting with marine life and stunningly beautiful natural formations, a closer look at the treasures that lie just below the water is sure to put a smile on your face. 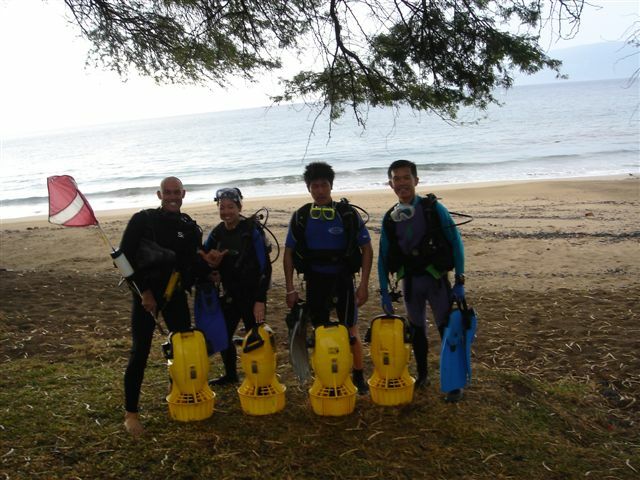 At Maui Scooter Dive we know that not every certified diver wants to build up a sweat kicking their way around the coast. Sometimes you just want to relax and take in your surroundings, gliding effortlessly as the waters ebb and flow. 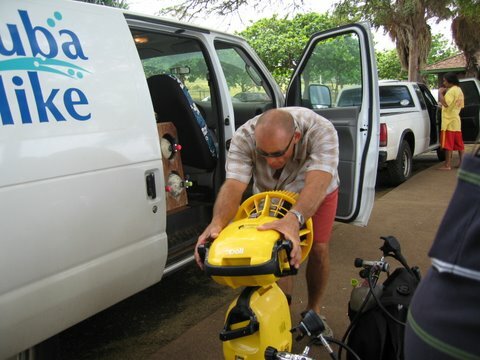 Luckily for you, Maui’s premier underwater adventurers now offer all of our dives complete with the our brand-new underwater scooters! An underwater scooter looks pretty different to the scooters you see whizzing around on the roads and pulling up to bars near the beach. They are small and light weight, so you can easily hold them in your hands as they pull you along in your standard kicking position. Super agile so you naturally turn and flow to get the best view of your latest discovery. They are quiet so they don’t disturb the local marine life, and yet still powerful enough to whizz you along like a superhero underwater. 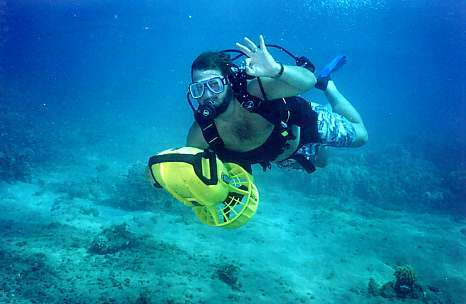 We believe that nothing beats adding a scooter to your underwater dive. You can travel further and faster, exploring and seeking out hidden treasures and stunning views as you go. 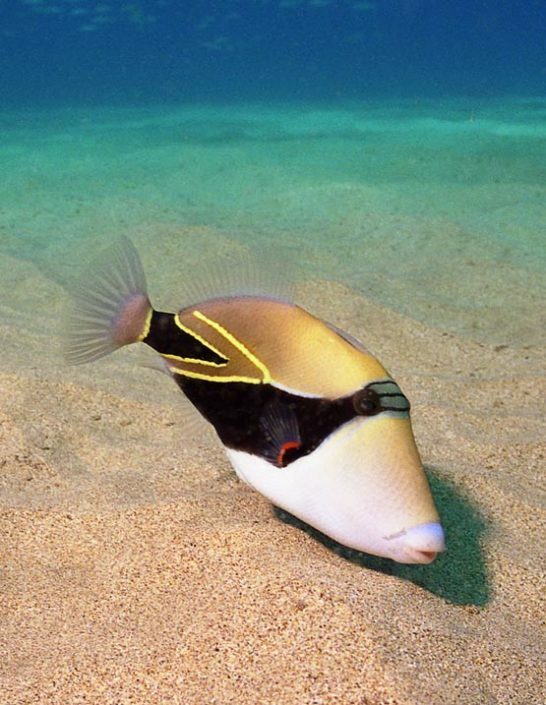 The great thing about scooting underwater, is that is gives you more time to explore the beautiful waters of Hawaii. No more kicking and struggling against the currents, just strap yourself in and swim like Aquaman. 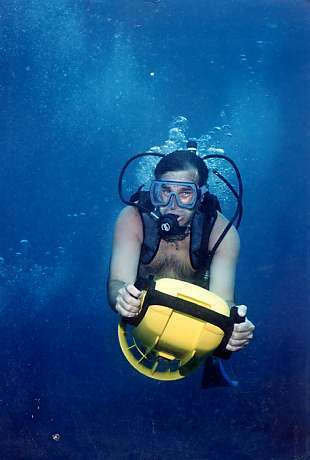 Noting beats being able to maneuverer and glide effortlessly underwater for the very first time. You can explore much further and quicker than ever before, all the while taking in the stunning underwater beauty that is hidden from us land dwellers. We may have the newest and most exciting equipment and classes anywhere in Maui, but that doesn’t mean we are the new kid on the block.  In fact mauiscooterdive.com is run by Maui stalwart and underwater maestro: Scuba Mike. 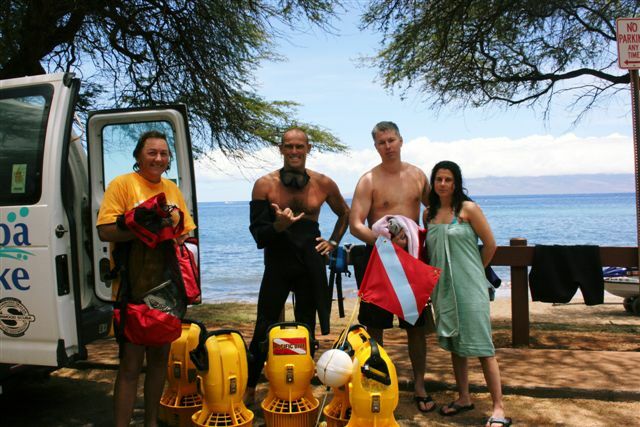 If you are new to the treasure chest that is Maui, then all you need to know is that Scuba Mike is known across the island as the most adventurous offerer of exhilarating underwater Maui activities. With years and years of experience under his belt (and goggles!) 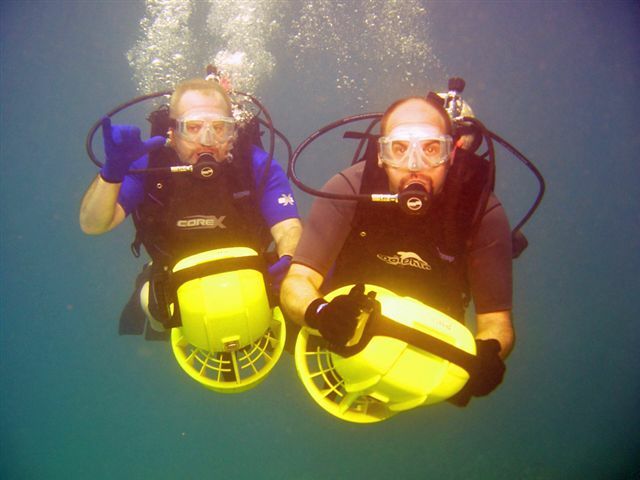 of leading certified divers on their trip of a lifetime, Mike knows everything you need to explore safely with a smile on your face. Where Will My Scooting Adventure Take Me? The great thing about scooting, is the new avenues it opens up underwater because you can go further and faster than ever before. And because you are always accompanied by certified expert divers, you know you are in safe hands and always within your limits, no matter how far you venture! From the stunning natural reefs and the vibrant marine life that calls it home, to amazing pass throughs and underwater caves, your scooter will whizz you along to wherever it is you want to go. If you’re a fan of exploring the murky depths and looking for hidden treasure, why not look up a few of the local shipwrecks and set off on your scooter. For a truly memorable view, nothing beats the eery ghostly presence of a wreck and all the nesting sea life that has made a home there. We know that by now you don’t want to read anymore, you just want to dive in and give scooting a go. 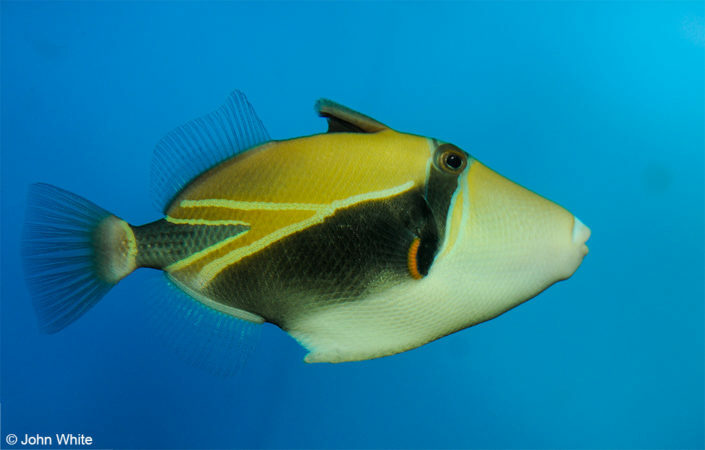 Whether you are an expert of thousands of dives, or just getting starting, nothing beats the thrill of silently gliding around underwater without breaking a sweat. We know that you once you try scooting, you’ll never go back to kicking!